1.1 We are committed to safeguarding the privacy of visitors to www.talltalesmysteries.com. 1.4 In this policy, “we”, “us” and “our” refer to Tall Tales Mysteries. For more information about us, see Section 13. 3.2 We may process data about your use of our website and services (“usage data“). The usage data may include your IP address, geographical location, browser type and version, operating system, referral source, length of visit, page views and website navigation paths, as well as information about the timing, frequency and pattern of your service use. The source of the usage data is Google analytics tracking system. This usage data may be processed for the purposes of analysing the use of the website and services. The legal basis for this processing is our legitimate interests, namely monitoring and improving our website and services. 3.4 We may process your information included in your personal profile on our website (“profile data“). The profile data may include your name, address, telephone number and email address. The profile data may be processed for the purposes of enabling and monitoring your use of our website and services. The legal basis for this processing is consent or the performance of a contract between you and us and/or taking steps, at you request, to enter into such a contract. 3.5 We may process your personal data that are provided in the course of the use of our services] (“service data“). The service data may include your name, email address and address. The source of the service data is you. The service data may be processed for the purposes of operating our website, providing our services, ensuring the security of our website and services, maintaining back-ups of our databases and communicating with you. The legal basis for this processing is consent or the performance of a contract between you and us and/or taking steps, at your request, to enter into such a contract. 3.6 We may process information that you post for publication on our website or through our services (“publication data“). The publication data may be processed for the purposes of enabling such publication and administering our website and services. The legal basis for this processing is consent, our legitimate interests, namely the proper administration of our website and business or the performance of a contract between you and us and/or taking steps, at your request, to enter into such a contract. 4.2 Financial transactions relating to our website and services are handled by our payment services providers, Stripe, QuickFile and Paypal. We will share transaction data with our payment services providers only to the extent necessary for the purposes of processing your payments, refunding such payments and dealing with complaints and queries relating to such payments and refunds. You can find information about the payment services providers’ privacy policies and practices at their individual websites by following the links here. 5.2 We use Mailchimp to send out e-newsletters to customers and e-newsletter subscribers. Mailchimp is based in the USA. Transfers to Mailchimp will be protected by appropriate safeguards. Mailchimp has provided its own information on what that means for you here. 8.12 You may exercise any of your rights in relation to your personal data by written notice to us in addition to the other methods specified in this Section 8]. 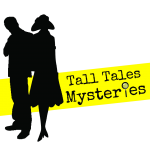 13.1 This website is owned and operated by Tall Tales Mysteries. 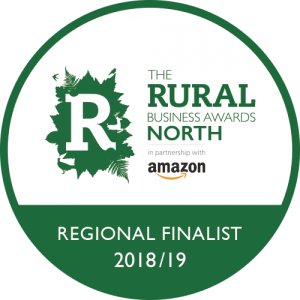 13.2 Our principal place of business is at 8 High Row, Gainford, near Darlington, Co Durham, DL2 3DN. 14.1 Our data protection officer’s contact details are: Sara West, Writer & Director, and she is contactable on all the methods above.